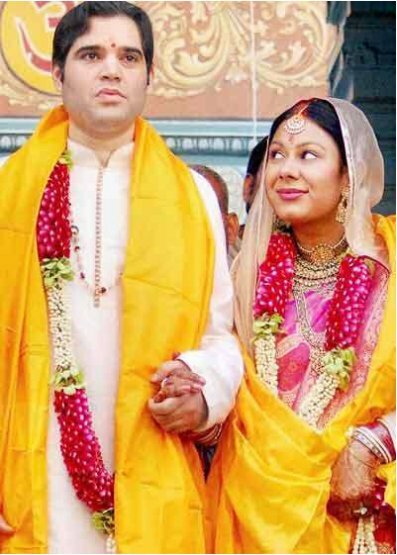 BJP leader Varun Gandhi with wife Yamini Roy poses for a picture after their wedding at the Kamkoteshwar temple in Varanasi on March 06, 2011. The entire temple premises and road leading to the temple have been decorated for the high-profile wedding ceremony. 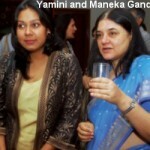 Limited persons close to the family and Vedic priests were present at the temple during the marriage function.